Pope Francis support the effort against ISIS in Iraq, where religious minorities are increasingly under threat. “In these cases, where there is an unjust aggression I can only say that it is legitimate to stop the unjust aggressor,” he told reporters on Monday. “I underscore the verb ‘to stop’. I am not saying ‘bomb’ or ‘make war’, but ‘stop him’. 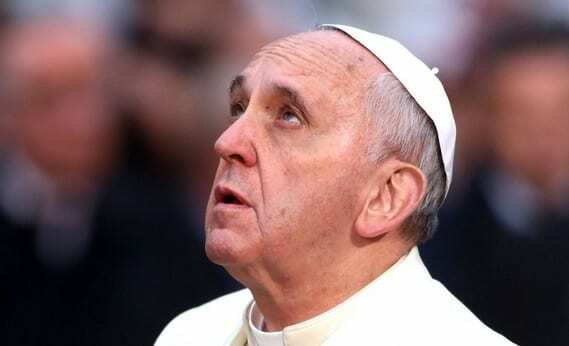 The means by which he can be stopped must be evaluated.” The pope stressed that the decision shouldn’t be made by a single country, but discussed at the United Nations and involve the international community. This entry was posted on August 19th 2014 at 7:45am/07:45 and is filed under Live News Column 1, World News. You can follow any responses to this entry through the RSS 2.0 feed.